This is obviously a utopian paradise that has never existed, and never will. There are countries, there are borders, and there are ideologies that people fight and die for. This is what war is about. 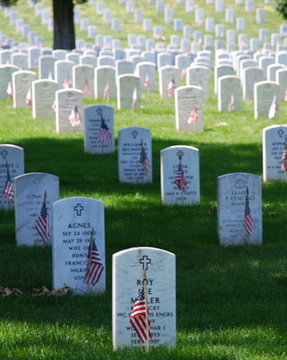 Today, on Memorial Day, let us all spend some time – between barbecues and holiday sale shopping – to reflect on what today is really about: human lives lost in service to their country. These are somebody’s sons, fathers, brothers, sisters, mothers, daughters. The vast majority of people who die in war are very young, with what should be decades and decades of life still ahead of them, but gone in an instant, and every family and friend of the fallen must undertake the agony of learning how to navigate life without their loved ones. This is the price of war. First off, concluding that “the Truth is that there is an order to this universe did not happen by ‘chance'” is only part of certain belief systems. Where you see order, I see randomness, and yes, chance. To say that I “refuse/have no interest in seeking a truth (Jesus existence)” is also an assumption, and a misguided one at that. Is this the assumption one of a certain religious belief system makes when someone else does not come to the same conclusions they do? I don’t see things the way you do, so that must mean I refuse/have no interest in seeking a truth? That sounds pretty arrogant to me. Maybe it wasn’t intended that way. Again, as I’ve explained before, I came to the conclusions I now hold after a lengthy process of analysis, examination, and soul-searching. I didn’t adopt Atheism to be difficult or a rebel, or whatever some people might think – and I did not adopt Atheism because I was hurt by someone or felt let down by god. The process of my Christian beliefs – which I held dear for the vast majority of my life – falling away took place during a very peaceful and contented time in my life. It was not brought on by trauma or sour grapes. And you might again take note that I have seen it from both sides – as a Believer, and as a non-believer. So what do I believe? Well . . . I believe that science and physics have gone extremely far in explaining the origins of the universe and of mankind. And although science certainly does not have all the answers, the answers it has come up with seem vastly more plausible to me than supernatural or divine answers. I believe that it’s very likely that the universe started as something infinitely smaller than it is now, and through a process of expansion and combustion – having nothing to do with a divine force outside itself – became what it is now, and even now it is ever-changing. Who made this universe? Nobody. It just happened. Who made me? Why, my parents did. And their parents made them, and their parents made them. And the whole lot of humankind came into being through a process of evolution. By chance, this one planet in this universe evolved in such a manner as to be hospitable to life, and did actually spawn life, in the beginning – millions of years ago, as rudimentary one-celled organisms that over millenia evolved into all the various and wondrous species that are present today (and lots that are no longer present). Why am I here? There is no reason I’m here. I’m here by chance, because a certain sperm belonging to my father fertilized a certain egg belonging to my mother, and the resultant genetic concoction ended up being me. If the question really is, what is the point of my existence, and what is the meaning of my life, there is no point. That does not mean that I believe life is meaningless – far from it! But I believe we each create our own meaning. My life and my existence are not part of some grander plan, so in that respect, there is no point. I came to exist by chance, and my life is meaningful to me and to those who care about me. Where am I going after my life here is done? Nowhere. I will be dead. Finito. My life is finite, as is every single life on this earth. We are born, we live, and we die. The end. We have one brief lifespan, and it would be nice to think that everyone would make the most of that, knowing it’s all they get. I believe in being a good person for the sake of being a good person: because it feels good, and it makes society work, and because I want to be treated in kind. 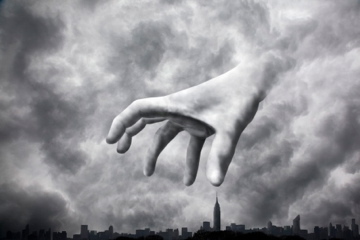 Questions for you Believers: where did God come from? Who made him? What was he doing before he created the universe and the earth? These are a few of the more popular ones. You should also consider the fact that the entire world’s calendar is based on His life (BC and AD). You can argue you don’t believe that He is the Messiah and loves you (yes, you personally, Lisa), but to say he is mythical is unfounded. In your defense, however, perhaps you don’t have the benefit of these other historical fact points. As for the existence of God, I too, like Addie, have a very close relationship with God, and yes, He talks to me and most people who will listen (no I’m not special or crazy, just open). In fact, He sent me here to you today to bring you this message; He put you in my heart and on my mind, so I Googled you and found your blog. It saddens me to read about your beliefs. Why? Because you are missing out. You are missing out in your life now, and certainly for eternity. I understand that you are “fine with it.” Why do I care? Let me explain it this way. You are a mom (I am too) … you want the best for your kids … you care for them … you watch out for them … you nurture them … you love them. This is the way of God as well (before you jump in and ask “why is there so much suffering on earth, then?”, let me finish). He wants the best for you, yes you Lisa, and because we Christians understand this, we work with God to help deliver His message. God does not force Himself upon us; it’s up to us to accept His love and His gift of salvation through Jesus. This is why Christians care about people; it’s a reflection of God’s love. I agree with you that a lot of man-made religion and interpretation is messed up; God’s plan, however, is not messed up. We live in a fallen world, and for now, we must deal with suffering, death, pain, sorrow, and deceit (Satan’s greatest tool). The authenticity of the Bible? 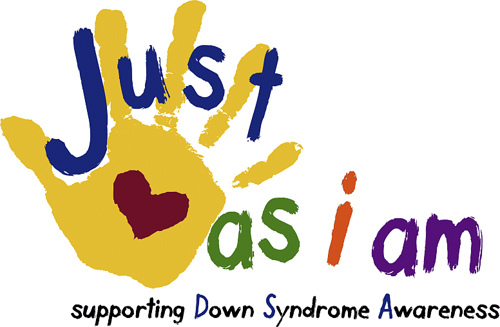 Items taken out of context, like anything, can cause confusion and frustration. I’m not a Biblical scholar, but every time I learn something new in the Bible, I see more of the dots in the Bible connected … and more scientific evidence of its authenticity (the Star of Bethlehem, the Parting of the Red Sea, Sodom & Gomorra, Exodus guide, etc.). A closed mind and heart will not see or pursue these things – that is Satan’ will: to convince people God doesn’t exist, we don’t need Jesus, and we are all just fine. Miracles? They happen every day. You’ve had a tough life, tougher than most. 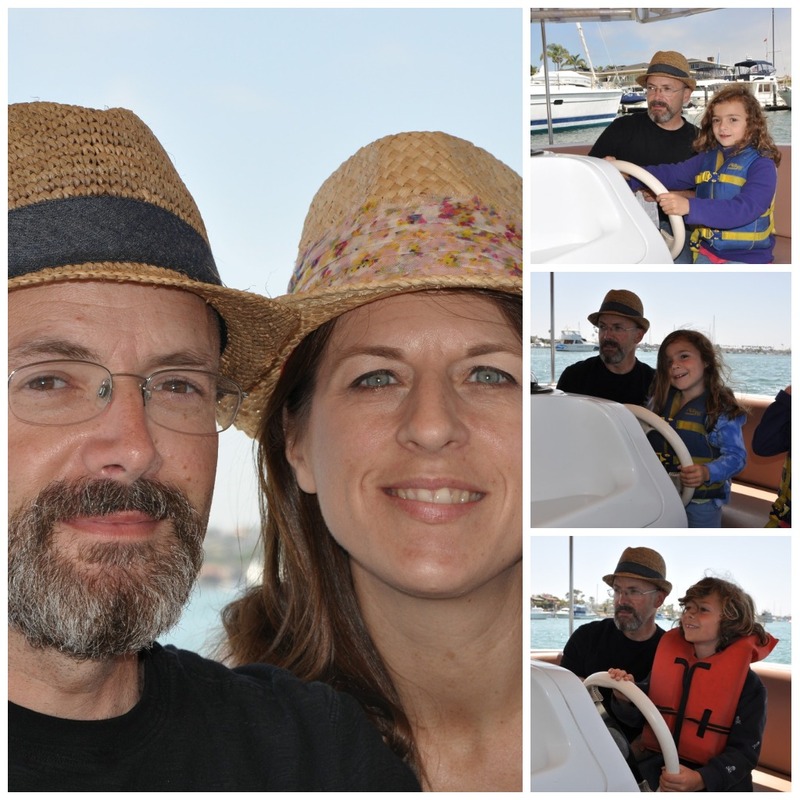 I’ve had a tough life; we all have challenges … some more than others. It’s up to us to decide how to respond to them and how to respond to God. Some people shut the door on God thinking He has forgotten them or thinking He doesn’t exist. Many times, it’s simply easier that way. Some people praise Him for providing the opportunity to learn, grow, and become strengthened. There was a time in my life when I had hit bottom, and I was truly tested. God sent me a miracle, and it was only recently that I have begun to see the miracle and how to use it for His glory. Let me explain: I have no musical training, but God began sending me beautiful music that I spontaneously compose (71 songs so far). This began years ago, but only a few months ago did I realize that this music aligns to Biblical Scripture – this is no random fluke. I have created 3 music videos so far … please check them out on my YouTube channel: wogdeb. God has gifted you, too. 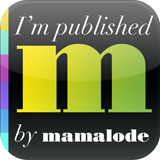 I read your interviews and blog posts; you are a very talented writer. Once you recognize and accept that this gift is from God (and not of your own doing as Satan would have you believe), you will begin to see so much more of God’s wonderful, giving, loving plans for you. The bottom line is that God does love you, even if you reject Him. That is why He sent me to you today. I am happy with my life, I am fulfilled and grateful, and yet I do not believe in god. Why is it so hard for some of you to accept that? If you must believe that I am guided by Satan, then so be it. Several things in your comment have me wondering if you actually are my “Aunt Deb.” If you are, I have to say that I find it even more disturbing and offensive than I might if you were a complete, random stranger, knowing that over the years I have made efforts to establish a relationship with my Aunt Deb, and it was never really reciprocated. So if that’s who you are, and you are now only pursuing me in order to convince me of your beliefs, I find that highly disrespectful to me as a person. I also see that you have signed up as a follower of my blog. While I am flattered that anyone would want to continue reading what I write, if you only want to follow in order to proselytize, please don’t. Upon reflection, I realize my previous note to you was inappropriate, and I apologize for sending it. My goal was not to irritate you, and it was not intended to be disrespectful. We have no relationship, so it was not appropriate for me to engage in such a discussion; I was merely reacting to what I read in your blog. Albeit clumsy, I was sincerely trying to reach out to you. The last part of the exchange just took place this morning, and I am fuming. First of all, this is a perfect example of Christian sanctimoniousness and – I’ll go ahead and say it – lunacy. How many people in this world have made, and continue to make decisions because they are deluded into believing “God” called them to take such and such action? How many of those decisions are potentially – or actually – life altering? How many of those so-called divinely inspired decisions go south and ruin lives and relationships? 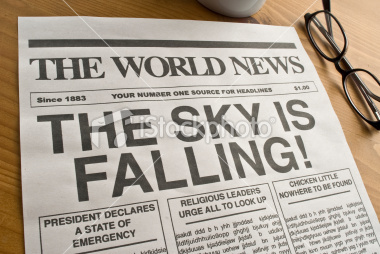 How many people quit their jobs and gave all their money away in anticipation of The Rapture recently, and historically many times over? How many people sacrifice their savings to give to churches that promise them a direct line to God and salvation? How many people take on circumstances they are not equipped to deal with because they believe “God” wants them to do it – only to have those circumstances turn tragic? Of course, the exchange I’ve posted here isn’t that dramatic or carry the weight of life-altering decisions made in the name of God, but still, this person happens to be my aunt. I would be bothered enough were it a random stranger or someone with whom I’ve had a casual internet relationship who came to my blog to preach their beliefs to me, but to know that someone I’m related to – my dad’s younger sister – and someone I’ve attempted a number of times over the years to establish a relationship with (we are geographically on opposite sides of the country, and have been for most of my life, which I’ve always assumed has stood in the way of our having any kind of close emotional relationship), only to be rebuffed (lack of interest? lack of time? I have no idea), and then now to be pursued by her solely so she can attempt to impose her ideals on me – man, it pisses me off. Is it any wonder? Seriously, people. And don’t give me any crap about her (or people like her) good intentions – it’s pushy and rude and self-righteous, and it harms me by violating MY right to live free from religion, religious dogma, and religious ideals. Believe what you believe, and if it serves you well, then that is a wonderful thing. But to think that the way YOU believe is the way everybody should believe, to impose your ideals on any other person – personally or by virtue of expecting public policy to reflect your religiously founded ideals – that is wrong. And that is what makes me so goddamned angry about religion. 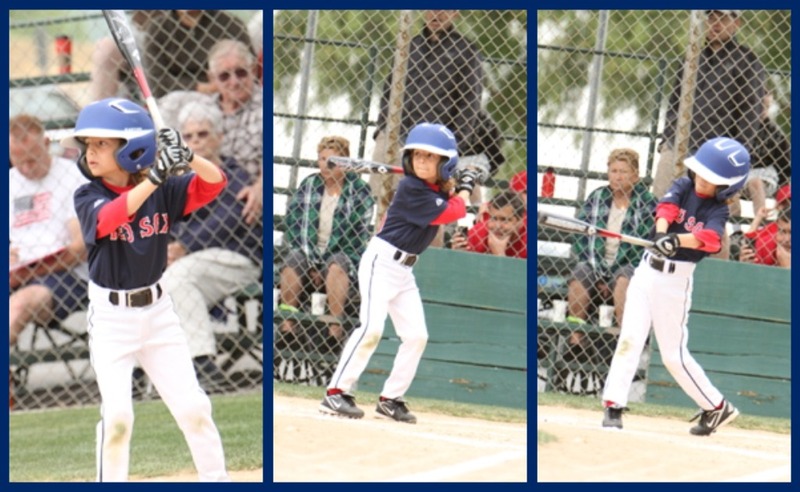 Joey played his last game of the Spring Little League season last week. I have to admit that I felt a surge of sadness during his last at bat. 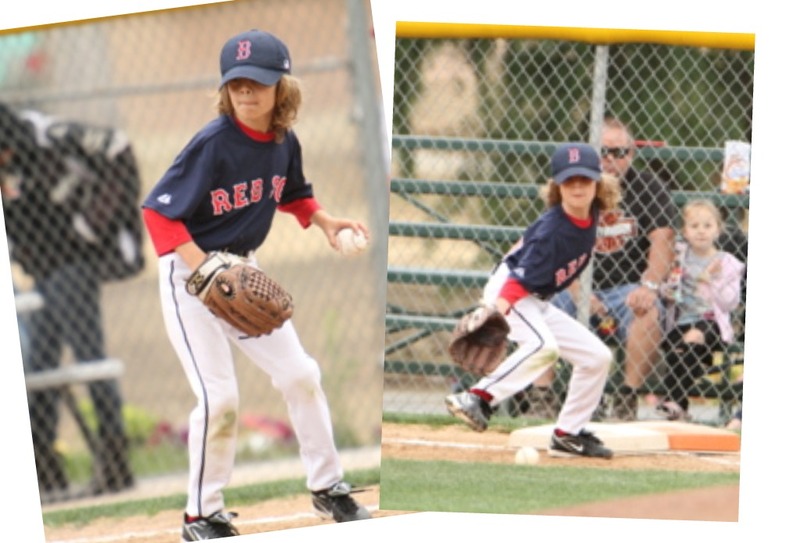 As a mother, it has been truly gratifying to watch him participate in something he’s so passionate about, and although I grew up with baseball (my dad was a fan and a player, both of my brothers played Little League, and I grew up playing street baseball with the neighborhood kids), my enthusiasm for the game has grown with Joey’s devotion to it. 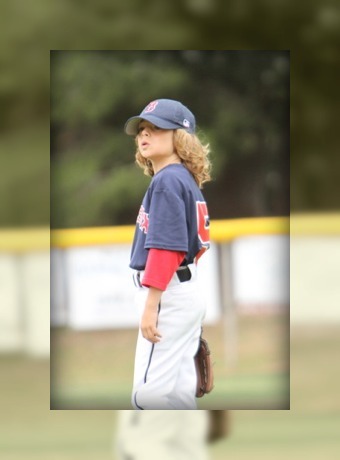 He started the season out as one of the better players on his team – one of only two or three kids who could be relied on to get a hit just about every time he was up to bat – but he ended the season in somewhat of a slump. 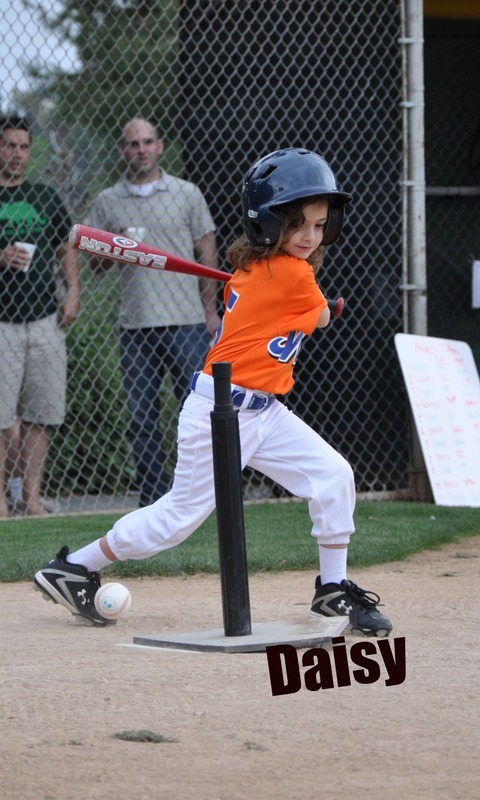 About midway through the season, he was hit by the ball a few times when he was up to bat, and he was thereafter gun shy and skittish in the batter’s box. 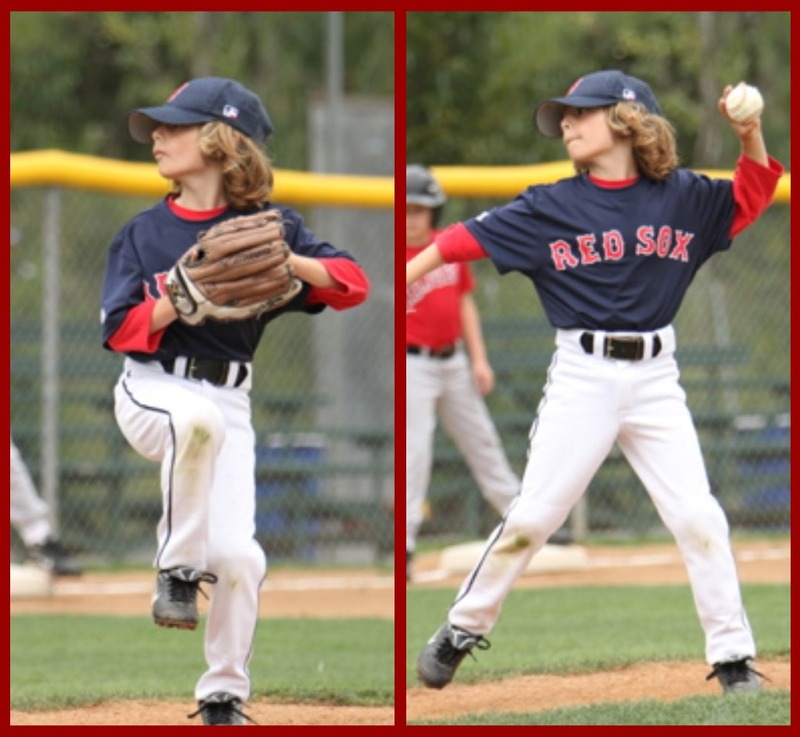 He remains a talented pitcher, however, although he says that when he’s in the major leagues some day (he has high aspirations! 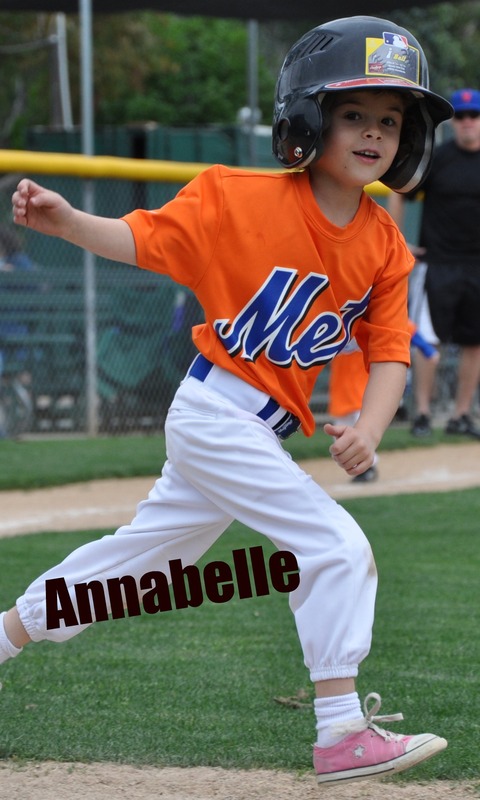 ), he doesn’t want to be a pitcher because he wants to bat (who knew that in the major leagues pitchers don’t bat? I didn’t.) Despite his slump, he played with his heart, and that’s what has been so bittersweet for me: watching him grow into his own person out there on the field and in the dugout, separate from me and with passion for something all his own. Although the season is over (except for closing ceremonies this coming weekend which will involved an all-day adult co-ed softball tournament that Michael and I are playing in), Joey is still out in the front yard every day after school and on the weekends, practicing his batting, throwing, and catching, and running imaginary bases. It seems to be in his blood. I am happy, thrilled, and generally ecstatic to report that Michael is finally well on his way back to good health. After another visit early last week with the pulmonary specialist who decided that an eight-day course of Prednisone was the next logical step in attempting to put Michael back on the road to wellness, Michael finally turned that corner we’ve been on the lookout for over the last several, long weeks. 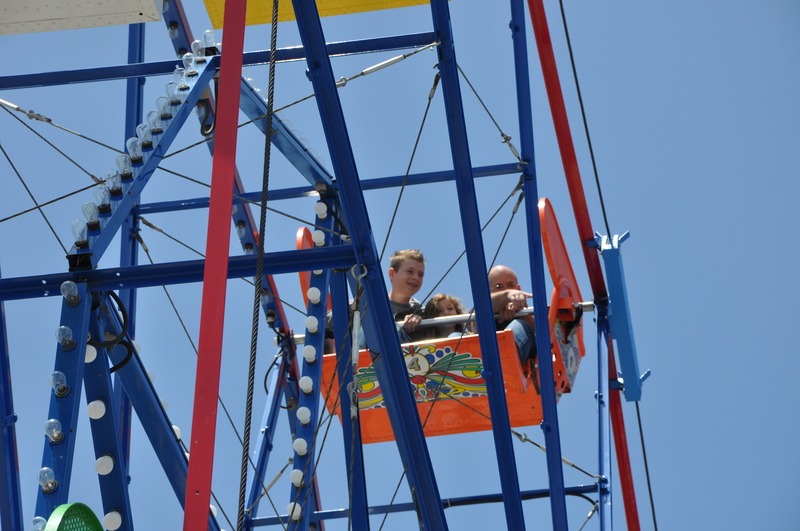 In celebration of Michael’s strides in recuperation, and for the general well-being of our family, we decided this past weekend to throw the kidlets in the truck and head out for a day of fun. 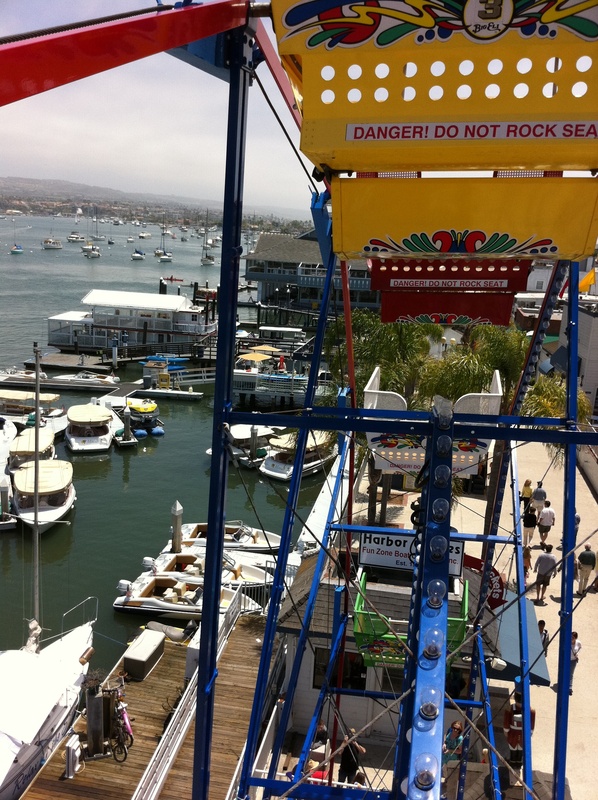 Destination: Balboa Fun Zone. This was Finn’s first time on a carousel – he LOVED it! He was cracking up the whole time; it was priceless. 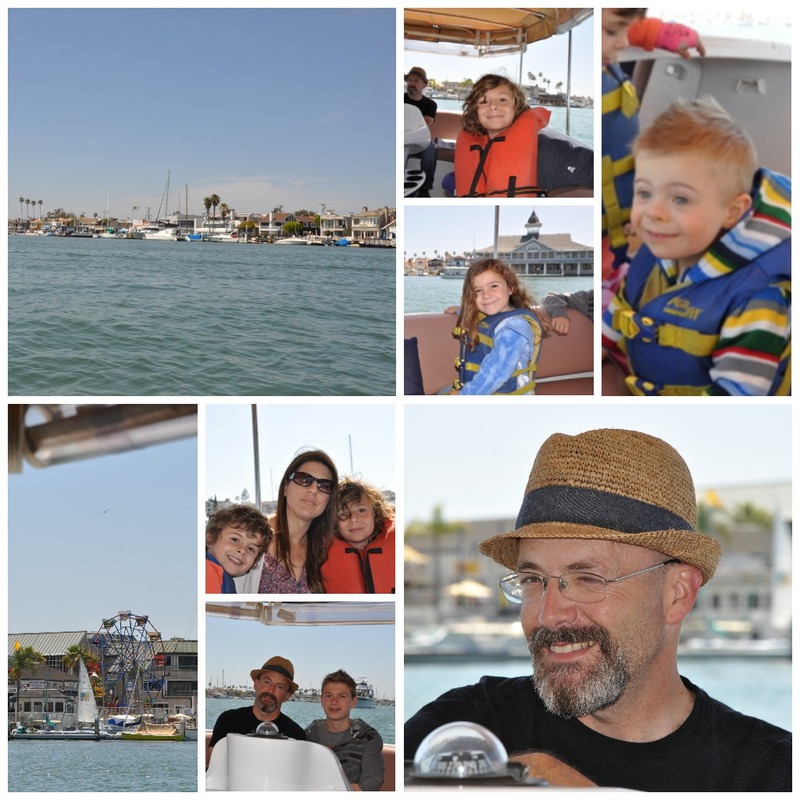 After partaking of the ferris wheel, the carousel, and a hearty junk food lunch of hot dogs and fries, we rented an electric boat and cruised around Newport Harbor for an hour. 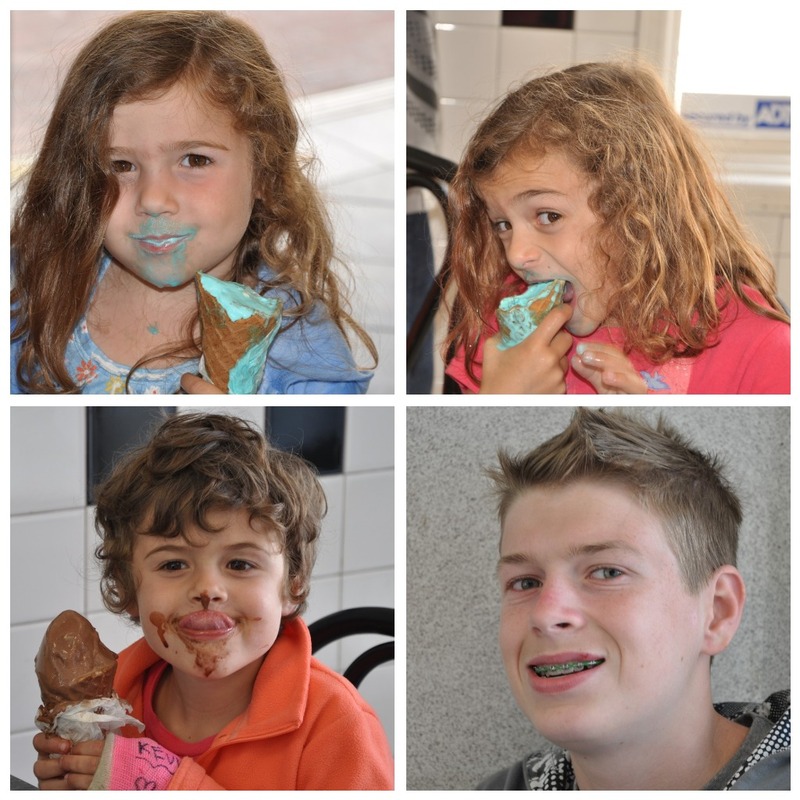 We finished off the afternoon by gorging ourselves on ice cream. It was a feast of food and togetherness; it was perfect. There is no greater social evil than religion. It is the cancer in the body of humanity. Human credulity and superstition, and the need for comforting fables, will never be extirpated, so religion will always exist, at least among the uneducated. The only way to manage the dangers it presents is to confine it entirely to the private sphere, and for the public domain to be blind to it in all but one respect: that by law no one’s private beliefs should be allowed to cause a nuisance or an injury to anyone else. For whenever and wherever religion manifests itself in the public arena as an organised phenomenon, it is the most Satanic of all things. I’ve been seeing these big ads adorning the sides of buses around town for a while. I haven’t given them much thought, and assumed they were advertising some upcoming blockbuster action movie (no, I’m serious). The other day I was stopped at a gas station putting gas in my truck and another one of these bus ads passed through my line of vision. I don’t know what made me take note this time, but I decided to investigate a little. I pulled out my handy iPhone and did a quick Google search. Silly me! I thought it was advertising the next big action flic, but it’s actually warning us all of The Rapture! Which is slated to take place just a couple of short days from now! I can’t help but wonder how many people are buying into this. I mean, I know plenty of Christians on a personal basis. Are there people I know who are actually planning for Judgment Day to take place this weekend? I’m sure there isn’t an unanimous consensus on this whole thing, even among Believers. So do the Christians who are not buying into this see themselves as more rational and reasonable than the folks who have set aside their weekend plans (and I assume all future plans, right?) for The Rapture? More than anything, these bus ads – and apparently billboards and other large-scale advertisements across the country – make me angry. That’s right, angry. You know, I could respect humble faith. Little clapboard churches, quiet prayer, noble good deeds that didn’t ask for anything in return, including accolades. But this loud, arrogant, vain, bigoted, intrusive, nosy faith? I find it appalling and offensive. These ads – as well as the gargantuan, gaudy monstrosities that pass for churches nowadays and the two-story-tall banners hanging along main streets proclaiming “JESUS LIVES!” – are a blight on the neighborhood. Why must I endlessly be subjected involuntarily to your beliefs? 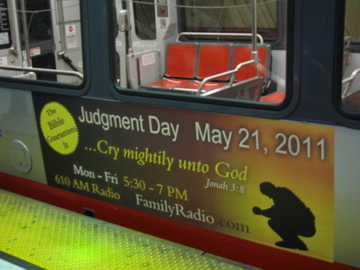 It’s appalling to me that our public transportation system would even take part in such a religiously slanted ad campaign. But as Michael pointed out to me, the public transportation system is government-owned, which means they have some real First Amendment issues on their hands when faced with requests such as these. Refusing would be a violation of the Constitution. Man, what I wouldn’t give for a few tens-of-thousands of dollars to take out my own ad campaign. This is fear-mongering and propaganda at its best. It’s religious terrorism, and terrorism that my kids are exposed to just by virtue of living in a regular ol’ suburb of the United States of America. CRY MIGHTILY UNTO THE LORD! FOR HE IS COMING! People have been predicting the exact date of the end of the world for centuries (okay, I know “The Rapture” is not the end of the world; the end of the world is apparently scheduled for either October 21, 2011, or December 12, 2011 – so you’ve still got some time, people), and, well, obviously they’ve always been wrong. I have no doubt that this weekend will pass uneventfully (at least supernaturally speaking), and then what will the folks behind these ad campaigns be saying? I also have no doubt that eventually, the end of the world will come. But it will be at the hands of humankind’s greed and violence and utter failure to live and to treat each other the way that mythical figure Jesus Christ taught. Let’s Talk About Men’s Underwear, Shall We? ** Caution: somewhat graphic photos are included in this post. Might want to shoo the kiddos away from the computer. Somehow this morning my husband and I landed on the topic of men’s underwear. Don’t ask. I can’t remember what sparked the conversation. Nobody was standing there in their underwear; we were actually in the car. 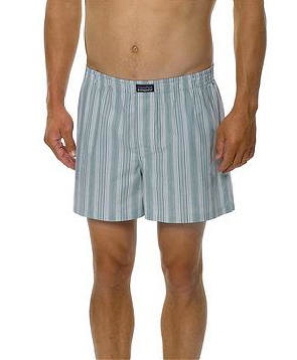 (1) What is that slit-opening thing in the front of men’s underwear for anyway? I’m not going to reveal Michael’s thoughts on these topics, but I will say that we did not find ourselves in total agreement on either. Wanting to get to the bottom (bada bing!) of this important subject, I did what any reasonable twenty-first century woman would do: I took it to Facebook. The purpose of the opening in the front of men’s underwear seems to be somewhat of a mystery to a lot of folks. Theories I gathered included ventilation (??? ), easy access for peeing, and my personal favorite, room for expansion (well, it wasn’t put that way in so many words, but that was the gist). I’ve always believed it to be there for purposes of peeing. Not even sure where I got this idea, except that I grew up with two brothers. Not that I was in the habit of watching them pee. Except when I was very little, and I apparently got the idea in my head that I, too, could pee standing up. Ahhh, memories . . . Anyhow, this belief of mine is confirmed, I believe, by the fact that my Spanx has just such an opening in the crotch “for ease when nature calls” (directly from the Spanx website; and for what it’s worth, let me just say that this was clearly designed by a MAN, because any woman would know that a woman cannot possibly pee through such an opening without disastrous results). Well, I’m right. Read it for yourself on Wikipedia: Briefs. I will just say for the record that I apparently know more about men’s underwear than my husband does. Moving on to the next important question: briefs or boxers? My Facebook survey yielded an overwhelming response from the ladies in favor of boxers, or more specifically boxer briefs. Trying to put my finger on what the problem is with them . . . they just look extremely functional, and vaguely diaperish. Boxers, on the other hand, are MANLY. They shout MAN! There’s nothing babyish about ’em. For the record, I’ve put my boys in boxer briefs since they were big enough to fit into them. Future daughters-in-law, you’re welcome. Okay, a final note: men’s bikini underwear? Just no. Okay? It’s wrong. And a little frightening! ** No photos contained in this post include anyone the author knows personally; they were all obtained from Google Images for purposes of this sociological research project. Wow, I can hardly believe how quickly the last three months have flown by! 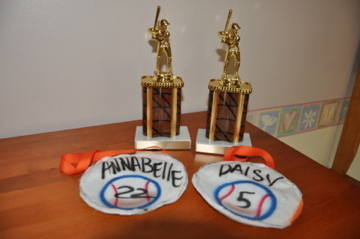 Annabelle and Daisy’s venture into t-ball was, all in all, a lot of fun. This ragtag team of three- to six-year-olds (yes, we actually had two three-year-olds on the team) played sixteen games, the final one being last weekend, the day before Annabelle broke her wrist (very considerate of her, I’d say). As for my tenure as a Team Mom, I’m glad I did it. With three kids in Little League, Michael coaching both Joey’s team and the girls’ team, and my being Team Mom, it sure feels like we are a Little League family. It has been nice to get involved rather than being just a spectator. It wasn’t too much work: put together a snack schedule, organize a couple of team parties, hand out fundraiser materials to the team families and collect and turn in funds from said fundraisers, put together a team yearbook page, get gifts for the coaches at season’s end, and send out lots of reminder emails to team families! My least favorite part was hitting people up for money – not something I can muster a lot of enthusiasm for even for a good cause when I so dislike being hit up for money everywhere I turn. The families on our team were nice enough, but not a super cohesive group. Sitting in the stands with the parents of Joey’s single-A team, I notice a definite difference. Not sure if it’s because t-ball families are generally just starting out in Little League whereas the single-A families have been sitting in the stands cheering together for a couple of years already, or what. Anyway, I would take on Team Mom duties again. 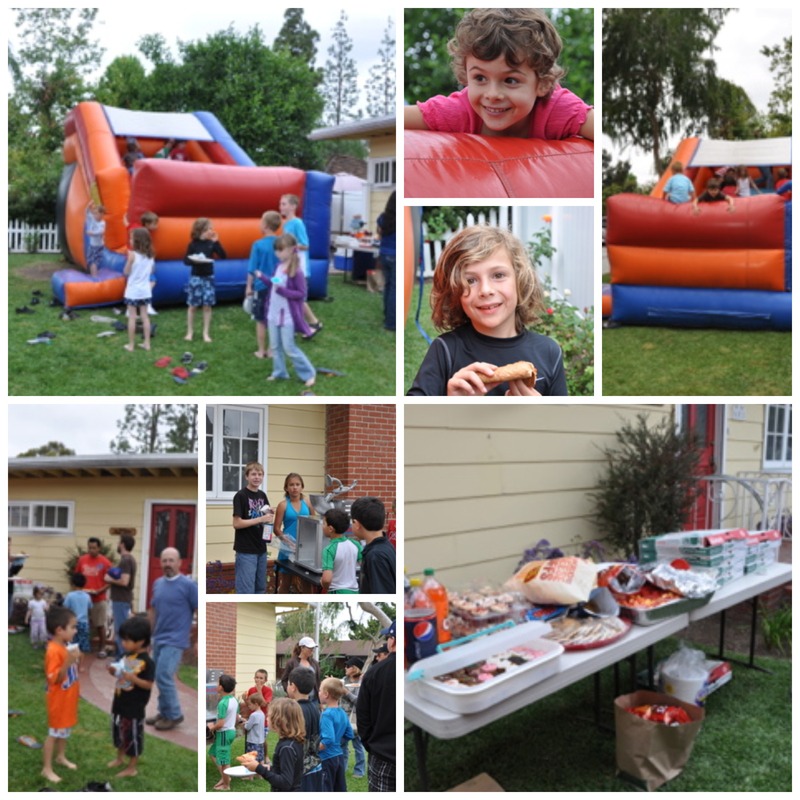 Today Michael and I hosted a joint team end of season shindig for both the girls’ team and Joey’s team. The slide was supposed to be a water slide, but turned out to be a dry slide (my mistake). All’s well that ends well, though, because the weather was not exactly water slide weather. The food was potluck, so it wasn’t very much work at all. Everyone had a super good time! 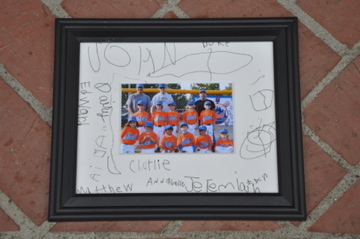 Okay, imagine getting thirteen three- to six-year-olds to sign their names to four mattes. I’ll just say that jelly beans were involved and leave it at that. 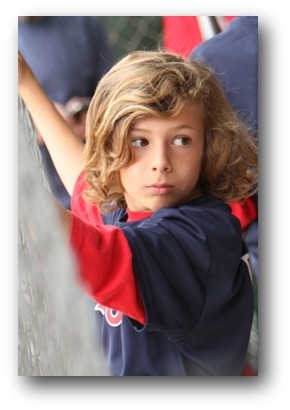 And so ends the season for t-ball. 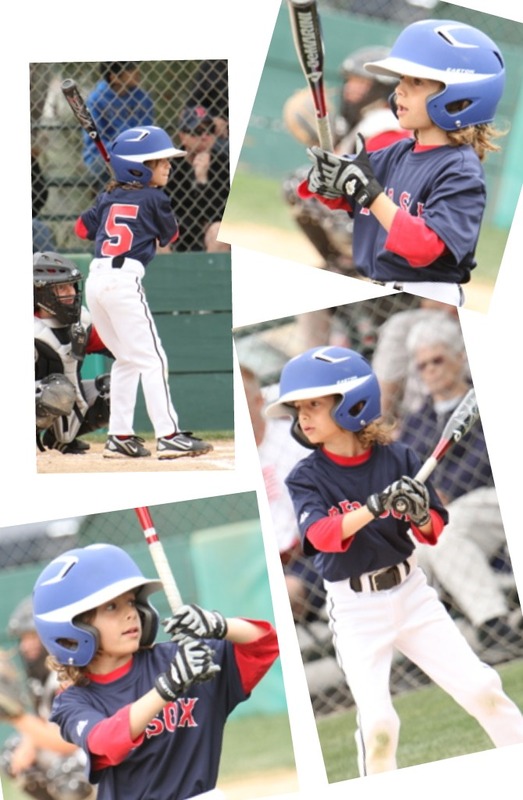 Regular games for Joey are over, too, but his team now goes into tournament games for the next week, and on Closing Day in two weeks, Michael and I will be playing in the adult co-ed softball tournament. I’m actually feeling a little sad that the season is drawing to a close and am already looking forward to next season!